Although functional, traditionally Harbour Dues have been known be a little bland. This is why Poole Harbour Commissioners (PHC) have launched a range of new stickers with vibrant, colourful designs to celebrate specific landmarks found around Poole harbour. The idea was the brainchild of the team at StickerGizmo.com. As keen sailors, the team are passionate about the harbour and recognised that this would be a great way to showcase the beautiful coastline found on their doorstep. TRY OUR NEW INVISIBLE LABELS!!! The Sticker Gizmo team has just made a huge break through that will change the printing industry forever. 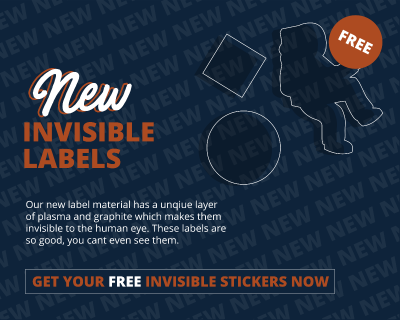 Invisible Labels! We have created a new material that is completely invisible to the human eye. National Smile Month is the largest and longest-running campaign to promote good oral health taking place between the 13th May – 13th June 2019. 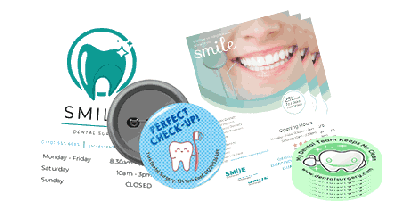 With just under two months to go, now is a great time to take a step back and look at your stickers, badges and flyers and make sure they are truly reflecting your organisation, to make sure you are ready for National Smile Month. 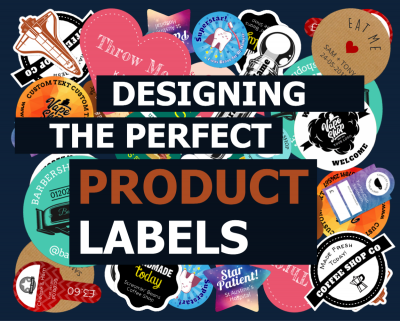 Well-designed labels sell more products – fact! All too often businesses spend time and money creating the perfect product for their customers and then forget about the label. Your customers will always look at the label and it will play a vital part in their purchasing decision. Below we have listed 10 of the key considerations when designing a label which should help you create the perfect design for your product and increase sales. If you are looking to re-brand your products, or just give them a bit of a lift to make them stand out from the crowd, we would be happy to help. 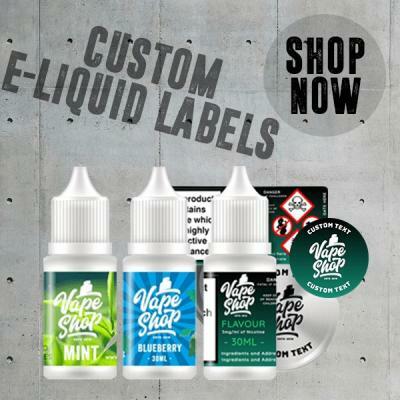 We offer a wide range of label designs, which you can easily edit with your logo and brand colours, to make them work for you. No Smoking Day is an annual campaign to raise awareness of the risks of smoking, and provide support and help to those wanting to give up. If you have a Vape shop, it is a great opportunity to raise awareness of the role E-cigarettes play in helping people to quit smoking. It is widely agreed that too much salt can have a damaging effect on health. Many foods (especially from restaurants and takeaways) still contain a lot of hidden salt. 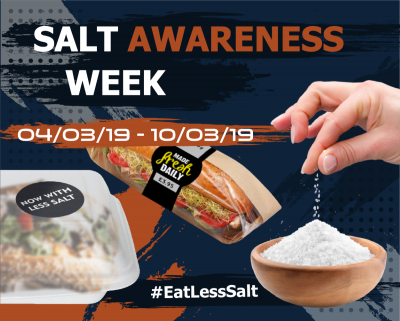 If your business is trying to reduce the salt in the products you sell, make sure your customers know this, with “now with less salt” labels. 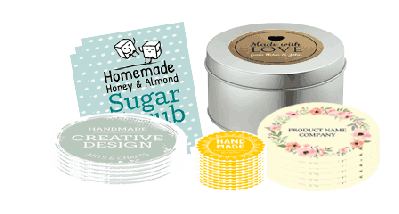 We have launched a brand new range of label materials, so now whatever your label requirements are, we have the perfect material for your business, whether it be Magnetic, Super Sticky, Clear Vinyl, Freezer Proof, Water Proof or even Heat Proof. If you sell Real Bread, whether it be loaves, or used in the sandwiches you sell, make sure your customers know about it. 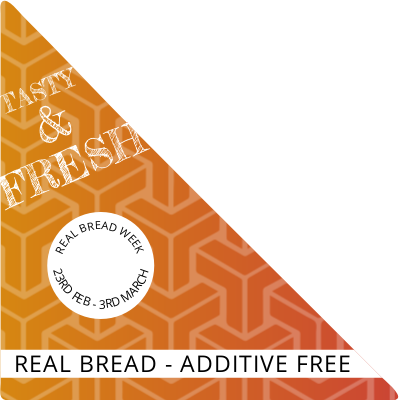 We can create stickers for your packaging, highlighting that the bread is additive free. 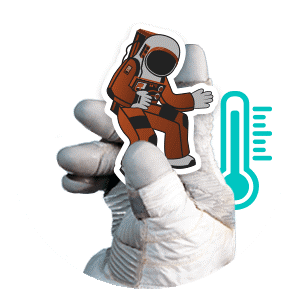 But why stop there, why not create stickers for your windows, walls, even badges for staff. Make sure your customers know why your bread is so special. 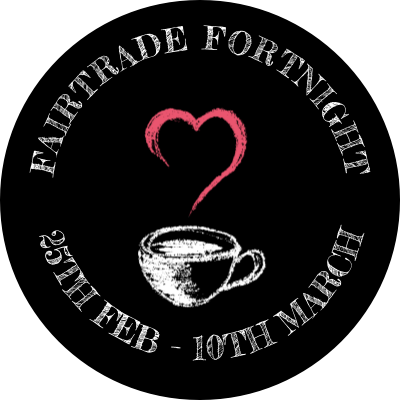 Fairtrade Fortnight 2019 is taking place from the 25 February until 10 March. If you sell Fairtrade products this is a great opportunity to tell your customers and potential customers.